With the latest Scandinavia Ferry crossing information and timetables for all sailings to and from Bojden, Copenhagen, Esbjerg, Frederikshaven, Fynshav, Gdansk, Gdynia, Gedser, Gothenburg, Grenaa, Harwich, Helsingborg, Helsingor, Helsinki, Hirtshals, Hou, Kalundborg, Kapellskar, Karlshamn, Karlskrona, Kiel, Klaipeda, Koge, Kolby Kas, Kristiansand, Langnas, Larvik, Mariehamn, Nynäshamn, Oslo, Puttgarden, Riga, Rodby Faerge, Ronne, Rostock, Saelvig, Sandefjord, Sassnitz, Seysdisfjordur, Spodsbjerg, Stockholm, Stromstad, Swinoujscie, Tallinn, Tars, Torshaven, Travemunde, Trelleborg, Turku, Varberg or Ystad including information on the ferry ports and useful tourist information about the destinations our detailed route and city maps will help you plot your Scandinavia Ferry ferry journey. The price you see is the price you pay. There are no hidden extras or surprises such as added fuel surcharges or booking fees and we do not charge you anything extra for paying with a Visa Electron card. The price we quote you for your selected Scandinavia Ferry route, onboard accommodation and vehicle type is all you will pay, and that's a promise. To obtain a Scandinavia ferry ticket price and book your ferry ticket securely online please use the real time ferry booking form on the left. There is a constant and long-standing rivalry between Copenhagen and Stockholm over which city can claim the title as Scandinavia's unofficial capital. Depending on how you count, both cities are the largest, most visited, and the target of most investment. However, after the completion of the Øresund bridge, and subsequent integration of Copenhagen and Malmö - Sweden's third largest city, this region is fast emerging as the main urban centre in Scandinavia, while Stockholm arguably grabs the title as the most beautiful. Due to the high latitude, summer nights are very short and in the northern most part there is even midnight sun in the summer. While central parts of Scandinavia (the Oslo-Stockholm-Copenhagen triangle) are more densely populated, vast areas in the north or in the mountains are hardly populated at all. Because of this, space, light and nature are key characteristics of the four northern countries, with the exception of Denmark. Denmark borders on Germany, while Finland and Norway border on Russia, but otherwise the Nordic countries are separated from their neighbors by the Baltic, the North Sea or the Atlantic itself. An abundance of land, water and wilderness is a common characteristic of the Nordic countries (except Denmark where most of the country is farmland or settlements). For example, Sweden is one of the largest countries in Europe in area but only has some 9 million inhabitants. The landscapes and nature do, however, vary across the Nordic countries. Denmark is a flat lowland like the Netherlands and Northern Germany. Iceland is both volcanic and arctic. Norway and Sweden share the Scandinavian peninsula which is highest on the Atlantic coast and gradually becomes lower until Sweden meets the Baltic sea. Lapland straddles the northern parts of Norway, Sweden and Finland, fantastic nature, caribou and the Sami indigenous people make it worth the effort to go there. Cruise a Norwegian Fjord, Geirangerfjord is a world-famous beauty while Sognefjord is the largest. Enjoy the endless summer days under the midnight sun in the north. Go cross country skiing or hiking in the endless forests and national parks. Downhill skiing or snowboarding in some of Europe's most civilized and family friendly ski resorts. Relive your childhood in Legoland, Denmark. Cruise around the thousands of scenic islands in the Swedish and Finnish archipelago. Roskilde Festival (Denmark, early July) - One of the worlds most famous rock festivals, with 70,000 tickets for sale and 30,000 volunteers. Ruisrock (Finland, July) - Finland's largest music festival, held on an island near Turku, with around 70,000 spectators. Hultsfred (Sweden, July) - Sweden's main rock festival, takes place in southern Sweden and has an attendance of 30,000. Arvika (Sweden, July) - Sweden's main synth festival, takes place close to Norwegian border in mid Sweden and has an attendance of 30,000. Quart (Norway, June/July) - Norway's main rock festival, and in Kristiansand in southern Norway. Hove (Norway, June-July) - Hove Festival mixes large international acts with Norwegian bands in the unique setting of an island outside Arendal city. 50,000 tickets sold. G! Festival (Faroe Islands, July) - The Faroes' main (and arguably only) event, with around 10,000 participants and 6,000 tickets sold every year. Mainly local and Scandinavian bands. Iceland Airwaves (Iceland, October) - A progressive, trendsetting, music festival that attracts around 2000 visitors every year, besides the many locals showing up. Bread comes in dozens of varieties, with dark, heavy rye bread a specialty, and Scandinavian pastries are so well known that the word "danish" has even been imported into English. Chilling out at the Arctic Icebar, HelsinkiVikings were famously heavy drinkers, and despite continuing government efforts to stamp out the demon drink through heavy taxation, todays Scandinavians continue the tradition. Bring in your full tax-free allowance if you plan to indulge, since in Norway you can expect to pay up to 60 kr (€7) for a pint of beer in a pub, and Sweden and Finland are not far behind. To reduce the pain, it is common to start drinking at home before heading out to party. The drinking age is generally 18 in all Nordic countries (but 20 in Iceland), but many bars and clubs have their own age limits. The main tipples are beer and vodka-like distilled spirits called brännvin, including herb-flavored akvavit. Spirits are typically drunk as snaps or ice-cold from shot glasses. Scandinavia may have a liberal image, but drugs including cannabis are treated with zero tolerance by the police, and possession of even personal use amounts is a serious crime in all five countries. Denmark, long more liberal than the rest, has also taken a harder line in recent years and Christiania's "Pusher Street" is long gone. Scandinavia is not a country but a historical cultural-linguistic region in northern Europe that includes the three kingdoms of Denmark, Norway and Sweden. Some argue for the inclusion of Finland and Iceland, though that broader region is usually known by the countries concerned as Norden, or the Nordic countries that are not part of Scandinavia. Scheduled passenger, car and freight ferries service routes between the Scandinavian countries. Norway is served by ferries from Denmark and Germany. To Sweden, there are ferries from Finland, Estonia, Latvia, Lithuania and Poland. Iceland is connected to Denmark and the Faroe Islands by ferry. To Finland there are ferries from Estonia and Germany. If you travel by ferry to Norway or pass through Åland, there are Tax Free sales on board, since Norway is not part of the EU and Åland is subject to special regulations. For the same reason some of these lines, especially Stockholm-Helsinki ferry, are known as party boats since alcohol escapes the normal heavy taxation. In addition to the major ferry lines the Hurtigruten ferries run all along Norways amazing jagged coast line, and through spectacular fjords, from Bergen in the south to Kirkenes in the Arctic north, docking in many small hamlets and villages on the way - affording you a unique and very Scandinavian experience. Best Price Guarantee - We always offer you our lowest available Scandinavia Ferry ticket price and there are no hidden extras or surprises such as added fuel surcharges or booking fees and we also we do not charge you anything extra for paying with a Visa Electron card. The price we quote for your selected Scandinavia Ferry to or from Bojden, Copenhagen, Esbjerg, Frederikshaven, Fynshav, Gdansk, Gdynia, Gedser, Gothenburg, Grenaa, Harwich, Helsingborg, Helsingor, Helsinki, Hirtshals, Hou, Kalundborg, Kapellskar, Karlshamn, Karlskrona, Kiel, Klaipeda, Koge, Kolby Kas, Kristiansand, Langnas, Larvik, Mariehamn, Nynäshamn, Oslo, Puttgarden, Riga, Rodby Faerge, Ronne, Rostock, Saelvig, Sandefjord, Sassnitz, Seysdisfjordur, Spodsbjerg, Stockholm, Stromstad, Swinoujscie, Tallinn, Tars, Torshaven, Travemunde, Trelleborg, Turku, Varberg or Ystad, onboard accommodation and vehicle type is all you will pay, and that's a promise! In the unlikely event you find the same all inclusive Scandinavia Ferry ticket cheaper in the brochure of any other tour operator we promise that we will do our best to beat that price or offer you the choice of requesting a refund. 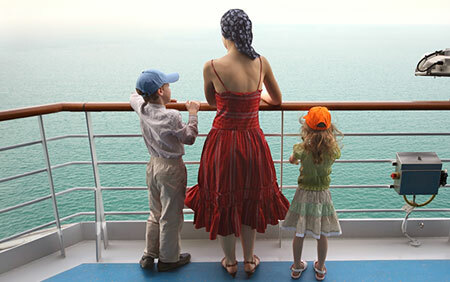 To book Scandinavia Ferry tickets please click here. At ferryto.co.uk you are able to obtain live Scandinavia Ferry ticket prices, check availability and book Scandinavia Ferry car and passenger ferry tickets to and from Denmark, Norway, Sweden, Finland and Iceland at our lowest available ticket price. Ferryto.co.uk is part of the world's largest online ferry ticket distribution network providing the ability to book over 80 major European ferry operators including with Scandinavia Ferry to over 1,200 ferry routes throughout the UK, France, Spain, Ireland, Holland, Eastern Europe, the Mediterranean, the Baltic and North Africa.